Centro Vacanze San Marino is a LuxCamp site offering luxury camping facilities and a camping holiday village setup in San Marino. The place has a natural park surrounding, making the place ideal for spending a relaxing holiday. 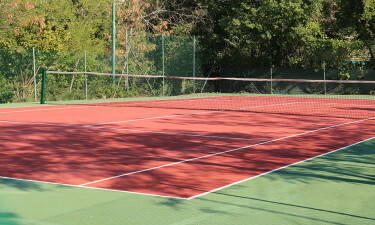 Centro Vacanze San Marino offers a multitude of facilities and services, including Wi-Fi, animation club, children’s playground, soccer, tennis, and volleyball. There is also a restaurant, bar, supermarket and pizzeria. A traditional soccer court with night lights is available, and organised tournaments are held every day. 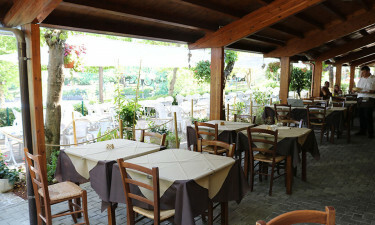 Why choose Centro Vacanze San Marino? 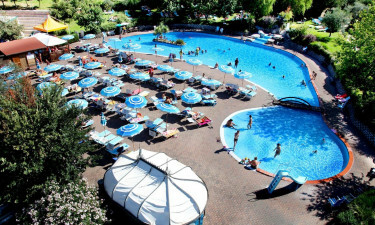 Centro Vacanze San Marino has a swimming pool for both kids and adults with a small island. There is waterfall and Jacuzzi, which shall help you rejuvenate yourself and beat the exhaustion of the summer heat. For kids in the 4-12-year age group, there would be an experienced staff on duty in the swimming pool’s gazebo. In the pool, several fun activities and games such as group dancing, water aerobics and sports tournaments are also held. Centro Vacanze San Marino is only a few kilometres away from famous seaside resorts such as Rimini, Cesenatico, and Riccione. A few kilometres away are also some of the most famous and biggest Italian amusement and water parks: Mirabilandia (Ravenna), Fiabilandia (Rimini), and Oltremare and Aquafan (Riccione).